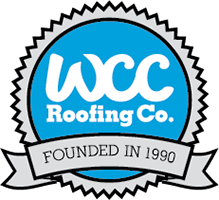 4 NO-NOS WHEN MAKING DECISIONS ABOUT YOUR ROOF - WCC ROOFING CO.
With any investment, such as your home, you really should weigh your options before making major decisions on how to maintain it. 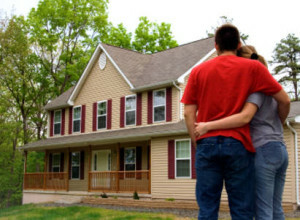 Avoid these pitfalls when making decisions on how to preserve your roof. Starting a major roof repair or replacement by yourself (if you are inexperienced). Unless you have extensive roofing knowledge, it’s probably best to leave the roof work to the professionals. Tearing off a roof is dangerous and difficult work. We have often been called in to “rescue” homeowner from a project that they began but soon realized they were in over their heads. The mistake is often made in an effort to save a few dollars, however, this can cause more damage and cost more in the long run. With the proper safety equipment, knowledge and skill level, a certified roofing contractor is the way to go. Shopping around for the best deal is a good thing, but when it comes to having a roof system installed, it pays to allow a qualified contractor with a competitive price to purchase the materials for you. Not only do you avoid having incorrect quantities or products, the contractor may also have access to better, more competitive pricing due to established relationships with regular suppliers. A roof installation tends to be a package deal and a good contractor will be able to provide a workmanship and manufacturer’s warranty with your system. Installing a product that does more damage than good over time. Not all products are good products for your roof. Contrary to popular belief, rain diverters can actually cause more damage than good, forcing water to back up under shingles, resulting in costly damage. Another product that can ultimately cause problems are flush mounted skylights. They typically don’t have a very wide flange and therefore tend to be unable to support high volumes of water. Under heavy rain, water can go beyond the flange and penetrate beneath the roof, resulting in leaks. Rely on a qualified contractor to help you decide what products will perform best for your roof. Not hiring a solid contractor. Make sure that you do your homework. Find a reputable contractor to perform work on your home. Sometimes price isn’t the only factor to consider when it comes to the service you are receiving. Talk to friends, family and co-workers about a roofing company in your area that has a good name in the community, competitive pricing and a track record of quality work. Check the Better Business Bureau, online reviews, and see if there is a company website for a feel and feedback on the contractor’s work history. You want a company with integrity and a great finished product – it is absolutely worth the extra time.